For year’s now it’s been the same thing on nights when neither of us feel like cooking. “Flatbread or Cafe Des Amis?” Well finally, a new restaurant has worked its way into the rotation – Dazoo. 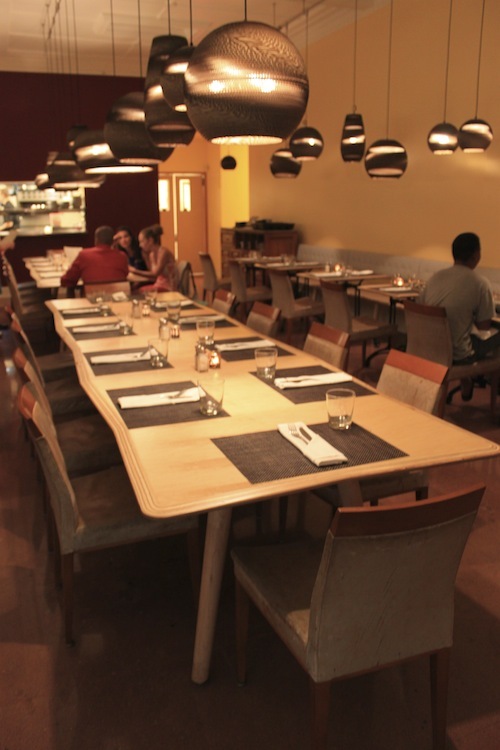 The long tables are perfect for a large family or dining with all your friends! 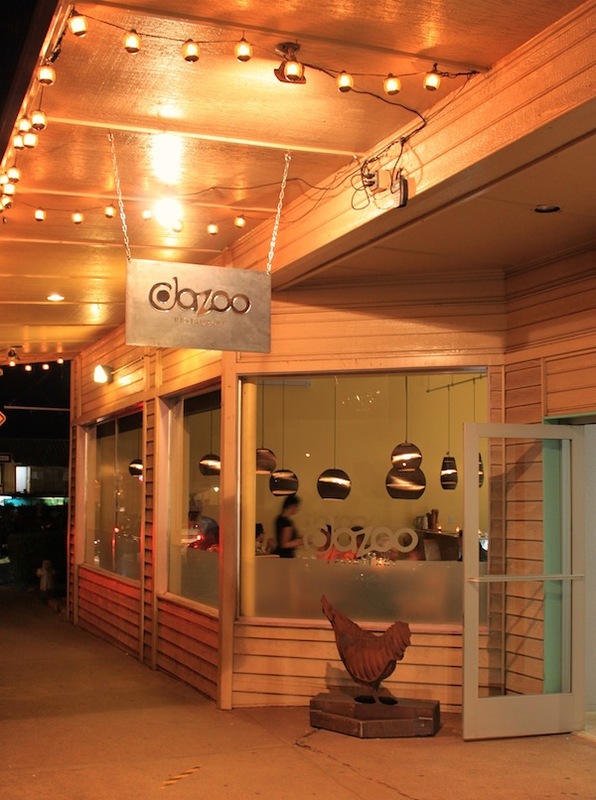 Dazoo Restaurant, which just opened earlier this month at the former Moana Cafe location, features locally-grown ingredients with eclectic Asian-American cuisine, highlighted with Korean favorites. Owners Yulie and David Law, who purchased Moana Cafe over a year ago, spent the last several months designing the new restaurant, including a revised menu and extensive renovation, creating a modern new space with a warm, inviting atmosphere. Dazoo is open daily from 8am to 2pm for breakfast and lunch, and Tuesdays through Saturdays for dinner, from 5pm to 9pm. 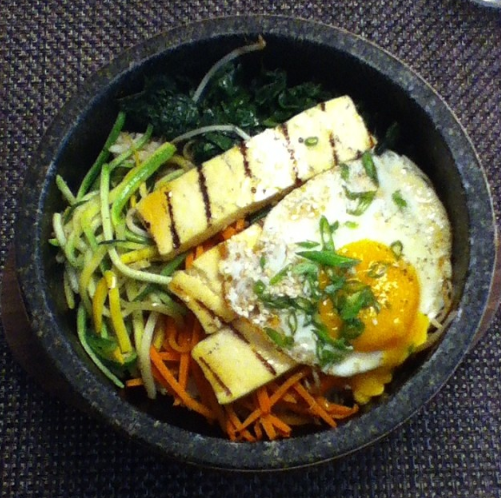 The Korean Specialty – Bibimbap – keeps customers coming back! The breakfast (served until 2pm!) and lunch menu features traditional dishes such as eggs and french toast, a seasonal roasted pumpkin salad, and some Korean specialties such as Bibimbap and Ramyeon. Starting at 10am, burgers (made from Maui Cattle Company beef) and sandwiches are also available. 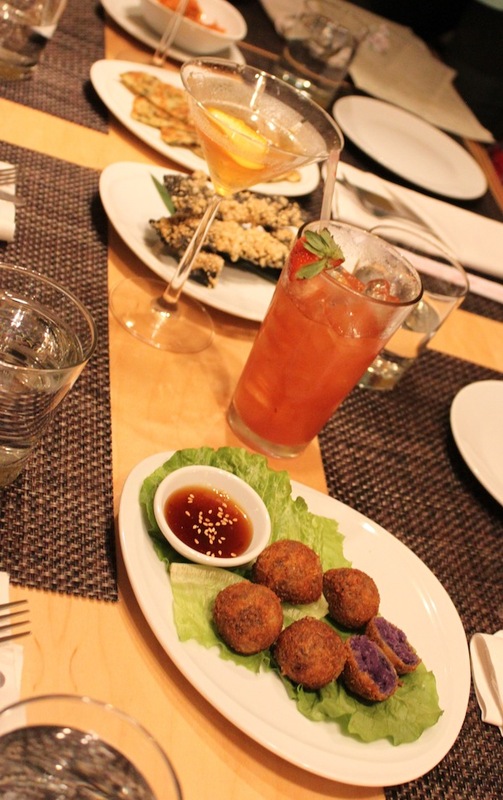 Dazoo’s dinner menu features a wide variety of tapas, ideal for sharing and sampling various dishes. This ulu (breadfruit) luau was just featured in WestJet in-flight Magazine! The puffed rice nori is a fun, crispy take on seaweed! One of the most visible changes of the new Dazoo is the enhanced bar area, where hand-crafted cocktails take center stage. Created by their in-house mixologist Jimmy Shoemaker, these fresh and inspired cocktails are served up by bartenders day and night. Another unique offering at Dazoo are the Bald Sodas – non-alcoholic beverages featuring muddled fruit and sparkling water, a perfect refreshing beverage that’s not too sweet. Mixologist Jimmy Shoemaker mixes up some fancy concoctions nightly! Another exciting development is the development of a stand-alone bakery, which will be in the old Vanity Salon location. The Moana Bakery will be serving fresh artisan breads and pastries, each created daily with organic, unbleached flour. The Bald Sodas will also be available to-go in to go bottles at the bakery. The tapas and imaginative cocktails create a fun and memorable dining experience. 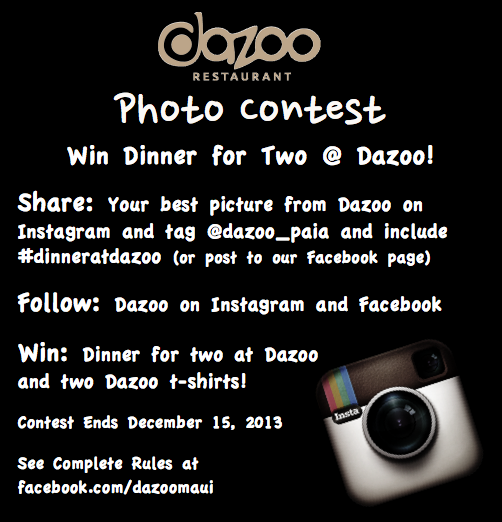 Disclaimer: I am a paid consultant/publicist for Dazoo. Looks good! I’ll have to try it out soon!! I’m a fan, Liz! Just ate here for the first time this weekend and loved it!